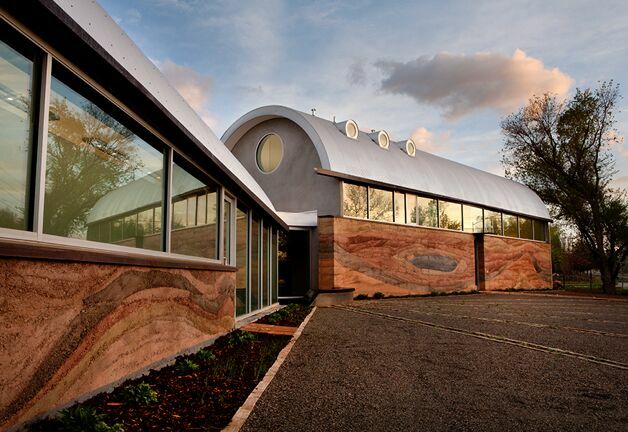 As creative as Boulder is, it’s only fitting to find unique architecture and unusual homes in the area. 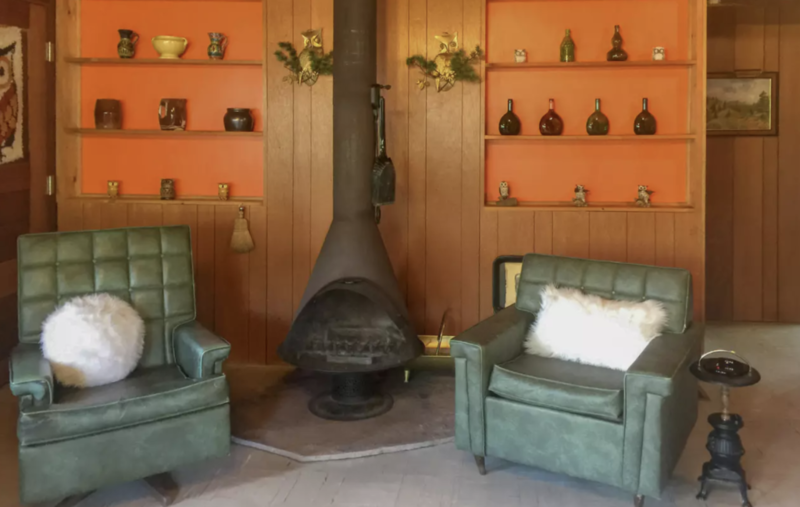 You can find historic mansions, cute cabins, tiny homes and even tree houses, homes built underground and houses built into the side of the mountain. 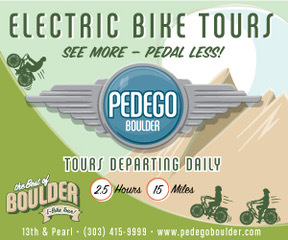 Many of Boulder’s most interesting homes are influenced by modern architecture in the ‘30s through ‘70s. 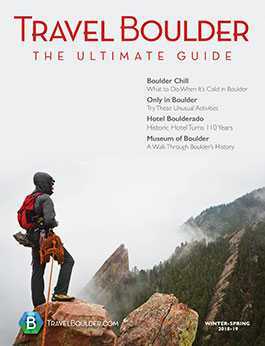 Some of the most influential, artistic architects in Boulder include Glen Huntington, Charles Haertling, Roger Easton and James Hunter, to name a few, according to Mod Boulder. Here’s a look at some of Boulder’s quirkiest and most fascinating homes, some of which you can even rent for the night or buy, if you’re in the market. What makes this house stand out is how it was carefully constructed around the natural red-rock outcroppings of the mountain. The outside and inside blend, with the rocks incorporated into the interior of the home, as well as the oversized windows with incredible views. 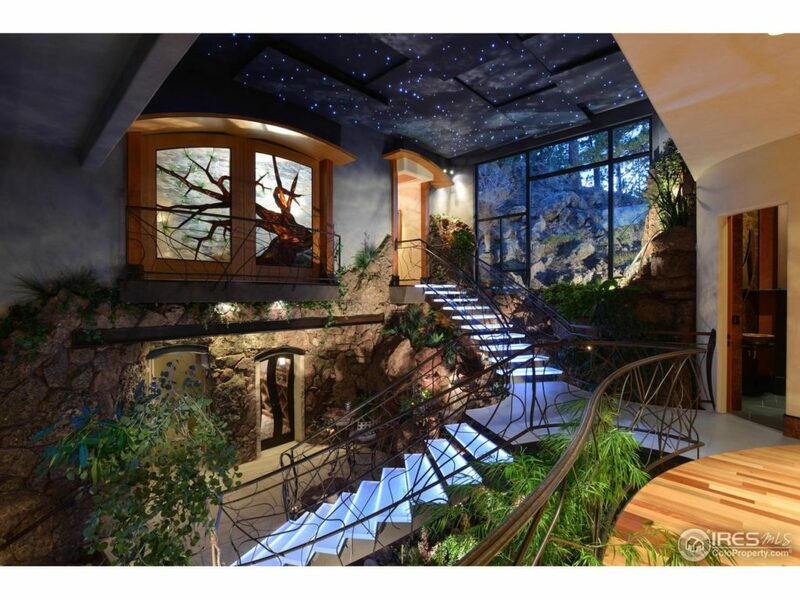 This house even has a waterfall in the atrium and gardens indoors. It’s for sale, too. 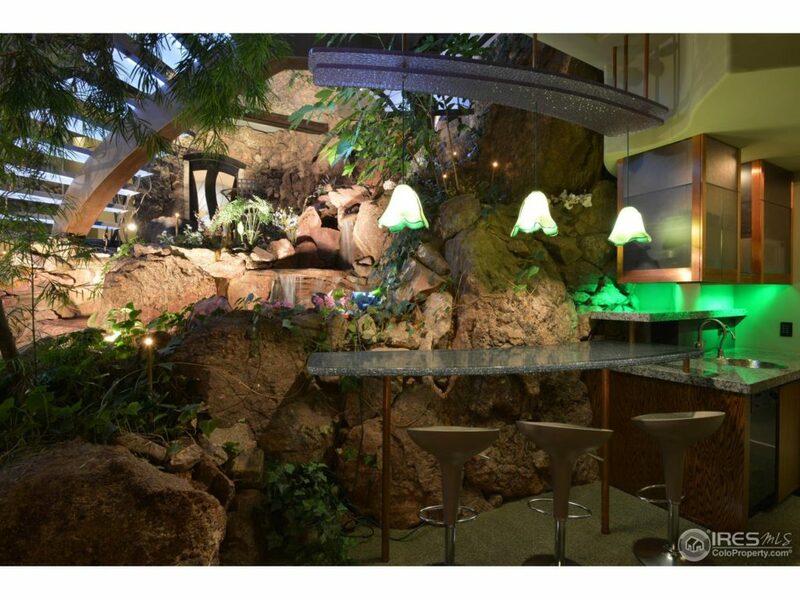 This one-of-a-kind indoor-outdoor living work of art can be yours for $6.8 million. This is the home and gallery of local artist Rebecca DiDomenico. Her house — an unusual rounded-roof building in North Boulder — is where she makes art, displays art and the home itself is an architectural art piece. 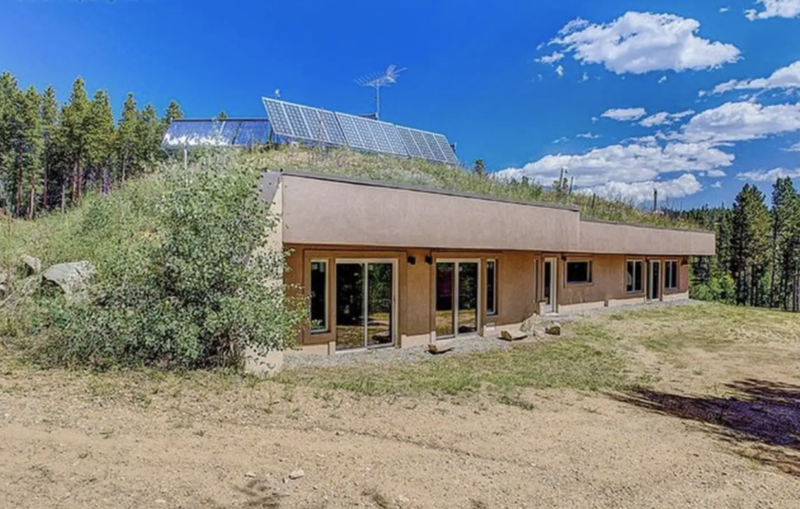 Swoon, as the house is named, is a sustainable, rammed earth building run entirely on solar and geothermal energy. It was built with local materials, including wood from recycled train car sides. DiDomenico keeps some of her art here, including large installation pieces, which you can visit by appointment (email [email protected]). The exterior landscaping is noteworthy, too, all the way down to the fountain and one-of-a-kind fence and gate. This famous house is a popular roadside attraction for fans of the 1970s sitcom “Mork and Mindy.” It was the character Mindy’s house. Although a few details have changed since the filming — the shutters were upgraded, the trees have grown (of course) and the iron fence is now a white wooden fence — you can still stop by to say “Nanu nanu” and pay your respects to deceased actor Robin Williams, who played the alien character Mork. Today, someone lives here so you can’t go inside. But the residents don’t tend to mind respectful visits, shots of the exterior and selfies by fans. Just stay on the sidewalk and don’t violate their privacy. 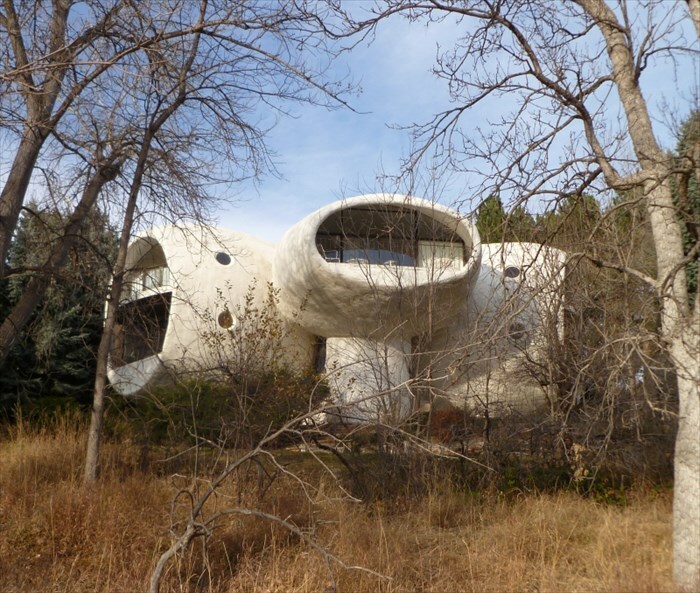 The Brenton House, also known as The Mushroom House, was designed by architect Charles Haertling in the Wonderland Hills subdivision. It’s called The Mushroom House for its unusual shape (imagine a group of pods or bubbles), although perhaps it should be nicknamed The Barnacle House; it was inspired by barnacles that Haertling chipped from ships’ hulls when he was in the Navy. The house was built above a lake and has amazing views of both the water and the mountains, plus downtown Boulder. It’s a private residence, though, so you can’t see those views for yourself. But you will certainly notice the bubbly barnacle shroomy shape when you drive past. This impressive home, designed by Hobart Wagener, stands out for its mid-century style. 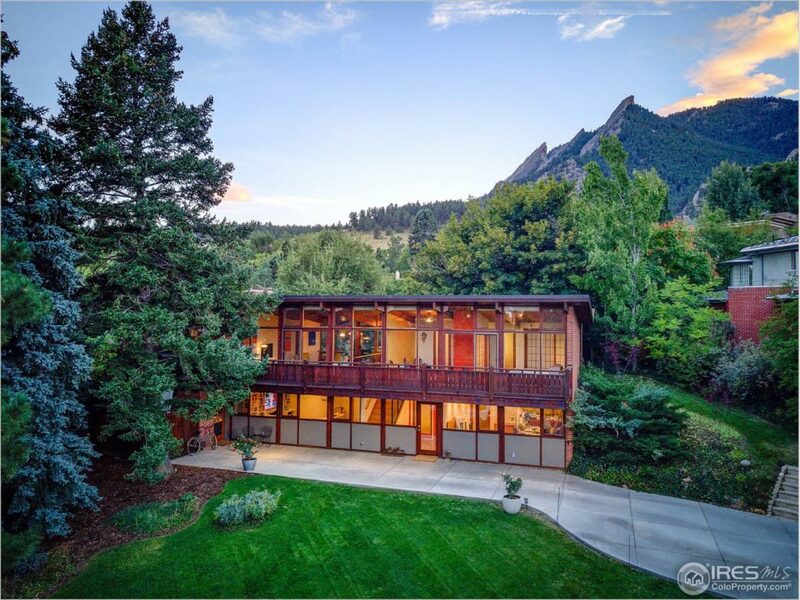 The floor-to-ceiling windows were a smart move, because this home (near Chautauqua) has amazing Flatiron views. 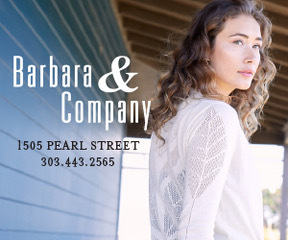 Highlights include six-zone heating and a New Mexico buff patio with a motorized awning. If you’re in love, you’re in luck. It’s for sale for $2.35 million. It’s rare that you see a huge outdoor pool in Boulder County. 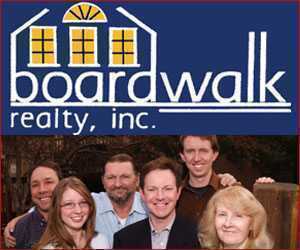 Much less on 15 acres of open land, surrounded by more than 1,000 acres of open space. This home is close to town (about 10 minutes away) but feels like you’re way out in the country. Past a long, tree-line driveway awaits this stunning property. It’s also for sale, if you have $9 million. This house has something holy about it. 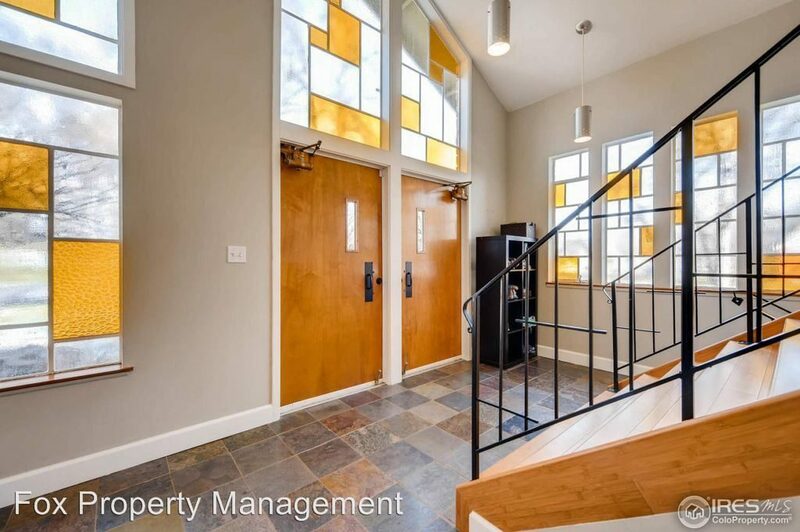 It’s a former church converted to a residence in downtown Longmont. Many of the improvements make it hard to tell it used to be the First Church of Christ, Scientist (from 1913-2004), but some telling details remain. 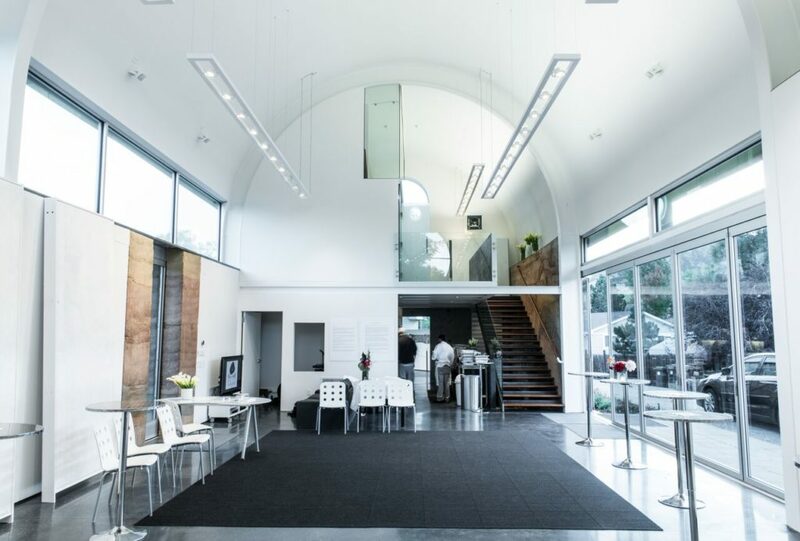 The front double doors open to vaulted ceilings. And many of the windows still have the original stained glass. As you walk past, you will see a small sign on the brick exterior that marks its former incarnation as a church. But don’t just walk in. People live here today. Here’s a unique house that you’re welcome to stay in. 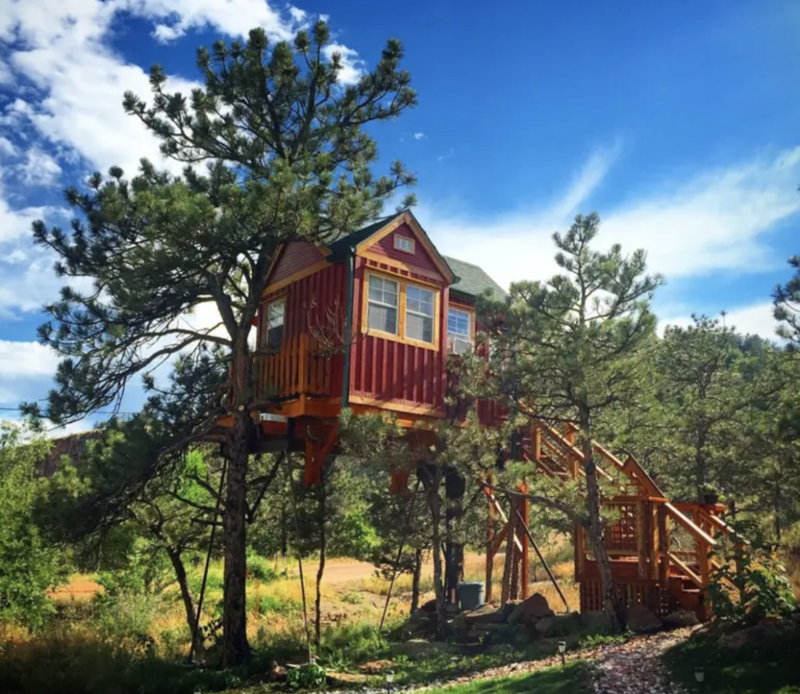 The Little Red Treehouse in Lyons will begin hosting visitors through AirBNB this May. And yup, it’s a real, grown-up treehouse. Unlike the treehouse you had as a kid, this one has a kitchen, heat, air, electricity, a bathroom and all those adult amenities. But you’ll feel like a kid again when you stand on the desk and enjoy the views. Enjoy them from the deck-top private shower, too. Whereas the treehouse is in the air, this one’s under the ground. 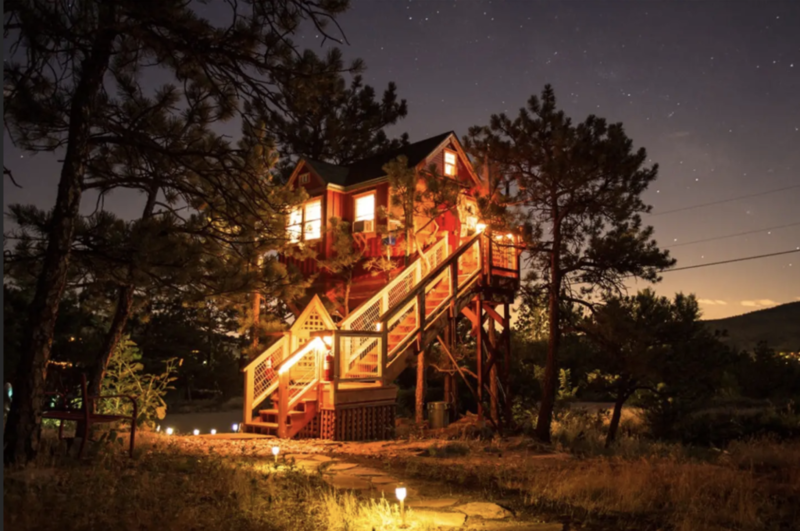 This “earth house” in Nederland, not far from the Eldora Ski Resort, can sleep seven. It’s comprised of three attached domes. Keep warm with the wood-burning stoves and save energy with solar power. You can stay here through AirBNB, but when it’s snowy, make sure you have four-wheel drive. The house is built on the side of a mountain with a steep, curved driveway that can be tricky in bad weather. 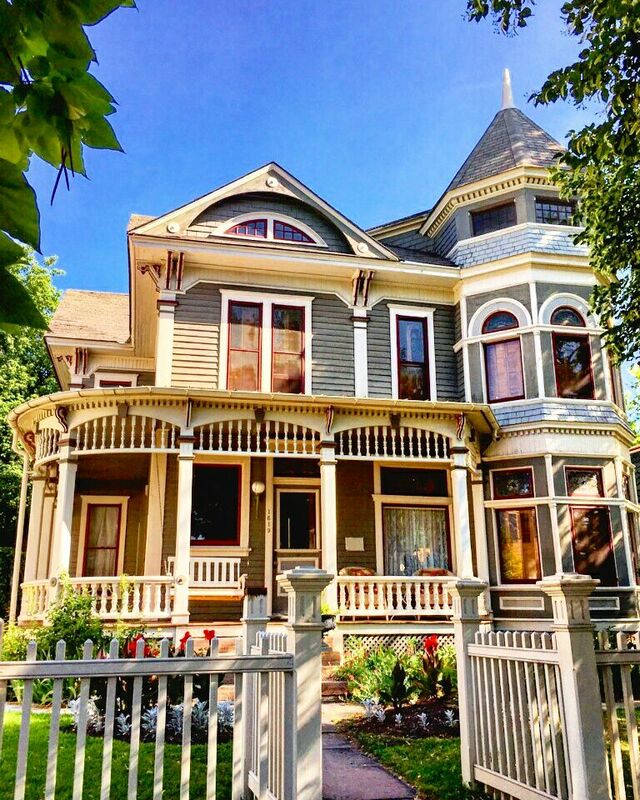 Want More Quirky Houses in Boulder?